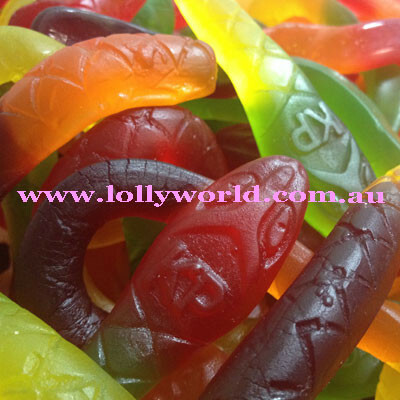 Allens Killer Pythons are definitely on the classic lolly list. There are 5 Killer Pythons in a 100g bag and approx. 40 in a 1kg bag. They come as a random mix of colours in each bag. They have shrunk a little but you do get more than you did before.